If one looks at the searches being conducted for additions or replacements to the C-suite, the time it is taking to fill those positions seems to be lengthening. One search becomes two searches, which becomes three searches and so on. We are talking about jobs where the position stays open on the firm’s website, not just with the myriad of recruiters trying to strike a sale. Weeks turn into months, months to quarters and all the time, the company is either living with a sub-standard member of the C-suite or a vacancy. Worse, they turn to a junior member of the team (who may not be ready to assume the mantle of the C-Suite position) and trundle along. Why do companies feel that a key position can remain essentially vacant or function properly with a lame duck? Life goes on, business goes on, and the duties of the C-suite are not in stasis because no one is there to handle the responsibilities. We are not talking about deputies or low-level employees doing some basic caretaker duties while the C-suiter is on holiday, or a business trip or even a short sick leave. We are talking a longer period where their absence will be felt, duties will not be performed and expertise is missing from the company. Maybe the CEO does not like to be challenged by his/her management team, so let us leave the slot open. Maybe the C-suite position is not really a full time position, and as such, the CEO can do double-duty. On the other hand, maybe the position is not well understood either by the CEO or the position needs to be re-cast. So; why aren’t more companies using the myriad of skilled, professional C-Suite interim executives to temporarily fill the slots. The fit, does not need to be “perfect”. The pedigree will be varied because professional interim folks have been in lots of businesses, industries, sectors, company sizes, public, private, family owned, government, for profit, not for profit, big cap, mid cap, small cap, growth companies, turnarounds, start-ups, sales, IPOs and lastly liquidations. The CFO’s responsibility is to understand the business (revenue and cost) model, the projections and capitalization strategies. Investors do NOT expect the CFO to be extremely knowledgeable with the technical/science (product) side of it. I will give in that the CFO should at least have a basic (and maybe a tad more) understanding of the product. Fully understanding the product is the role of the CEO and/or the Chief Technical Officer and/or Chief Science Officer. I still have to encounter an investor who questioned a CFO of how the programming works or what’s the science behind the product. And believe me, any CFO worth his salt will have a very good understanding of the product as they go through the roadshow even if he did not have a clue at the start. The same can be true of an interim CFO, CEO, CIO or any C-Suite member. They need to understand the business and apply their unique skill set to the problems at hand. The company should have in other roles Subject Matter Experts who can provide that C-Suite member with the expertise they may be missing at the beginning of the assignment. We have all seen companies who are stuck. Stuck moving forward, and actually slipping behind. Stuck in making decisions. Paralyzed for fear of making the wrong choice. 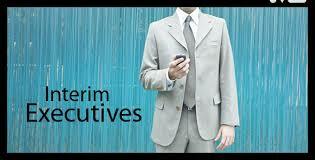 Hiring an Interim executive solves many of those issues. First off, they know they are there for a short time, be it a month, a quarter or a year. They usually have a marching order that would be different from a full-time individual, because the Interim executive will probably be charged with some type of change management. Will the cost of the Interim executive be more than the cost of hiring for a full-time role? Yes! The economics involved should be self-evident. However, what is the real cost to your business for leaving that role vacant or with a [an ineffectual] caretaker? Your interim executive has become a value-added member of the C-suite, not just a short-term consultant. Whether the interim executive comes from an executive placement firm, an accounting firm or is a solo-practitioner, the value of the interim executive outpaces all the alternatives. So what is your excuse for leaving a key managerial role vacant? Next Post: Why VC/PE market space is suffering; the answer is not rocket science!